William Perry was Josh's #2 pick in dp10 for 0 points. William Perry was Andrew's #3 pick in dp11 for 0 points. William Perry was Andrew's #3 pick in dp12 for 0 points. William Perry was Andrew's #2 pick in dp13 for 0 points. William Perry was Doug's #2 pick in dp16 for 0 points. 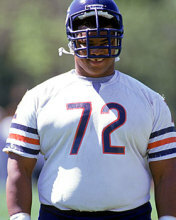 William Perry was Doug's #4 pick in dp17 for 0 points.